Dear humans around the world, we ask for your aid, support to shelter, rescue Bruno Schillinger, thank you from bottom of our heart. Bruno need medical treatment, food, and asylum. He has no support in Germany! 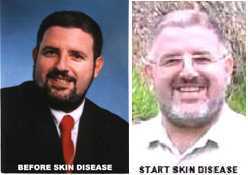 Government refuse medical treatment (heart, diabetes, cancer, teeth, kidney, eye, etc.) 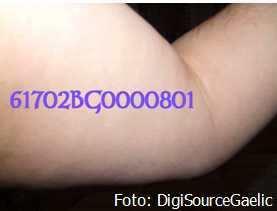 , access to justice, support, aid, etc. and certainly no investigation. We tried often and often to bring all on table, but no interest of government. Or as Voltaire said ‘It is dangerous to be right, when the government is wrong’ and Bruno wants to investigate the dubious death of his father and the entanglements of an politician. So started his ‘career as political refugee‘ incl. illegal arrest for pressure in order of this politician, up to refuse food, diabetes treatment, by his authority and it seems final end comes now, If you know a charity or can assist or just send/share tis page. Thank your for your time. Our human rights ‘Everyone’s right to life shall be protected by law – No one shall be subjected to torture or to inhuman or degrading treatment or punishment’. Not for disabled in Germany! NOT under GREEN government! 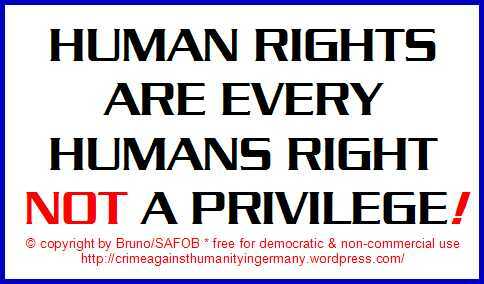 Neither human rights, nor UN CRPD (German Federal Law) or any humanity! His order is same, like in former times during III. Reich ‘slaughter disabled‘! Confirmed with ‘we informed about all‘ (Tuesday Sep 3rd 2013 16/30) and did not stop staff, assassin. His staff e.g. government director whimpered ‘what shall I do, if Kretschmann does nothing?‘ when victim claimed for food, law and Human Rights. Generally excuse ‘not my responsibility‘ is a LIE, all have responsibility for human rights! 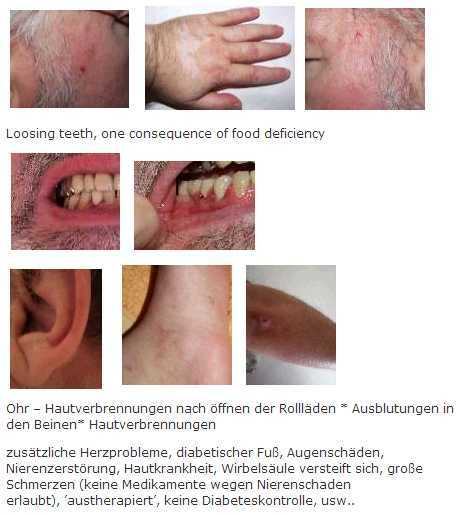 Prime minister Kretschmann GREEN, his government, state parliament and staff accept, that refusal of food, diabetic treatment by their public authority is no attempt murder or any other crime! So they legalized euthanasia against disabled, poor, like in III. Reich! GREEN dictatorship in Germany, instead democracy! Extermination instead truth! Prime Minister denied disabled people to treat heart! No daylight protection, no cancer protection, no radiation treatment, no medical treatment e.g. kidney, eye, diabetic foot, etc. – embezzlement of petitions – blackmail: ‘diabetes treatment for voluntary incapacitation‘ – illegal arrest, abduction, suspension and uncountable more! Not even a call-back. Prime Minister betrayed his oath of office and own GREEN program: .The focus of our policy of human being with his dignity and his freedom. The inviolability of human dignity is our starting point. It is the core of our vision of self-determination and advocacy for the weakest…. traitor to citizen, country, humanity! They fear question: Have you worked according constitution, UN CRPD, Human Rights – YES or NO? Instead of technical support (reading loud machine), they only ‘offer’ incapacitation –a person, engaged, paid by government should manage all in victims name and the victim has no further influence. This person can due all in name of the victims and stop all claims. How do you call persons who refuse human their food, diabetes medication? Murderer? Criminal against Humanity? NO INVESTIGATION TO SHELTER ALL CRIMINALS! ALL IN HIS ORDER! HIS VICTIM – Bruno Schillinger send to death! Reason for this torture and murder by state: Bruno sought the truth about the dubious death of his father and the entanglements of a politician. Since years he is fighting for truth and justice – now the end comes and it seems his death. All politician, justice refuse investigation * access to justice * German constitution and Human Rights. Due maltreatment, Bruno lost his teeth, has open wounds, no medical treatment, fear loosing eyesight, legs (pics below). Strong pain no pain pills allowed due kidney damage and pain treatment is blocked by government! Bruno is incarcerated in a small room without daylight (skin disease), than daylight cause skin burn, cancer and government refuse any cancer protection. They giggling ‘you have to come to office‘ and knew that this is impossible and so they are save. Prime Minister Kretschmann, government, GREEN party shelter criminals by murdering their political victim! Their order: ‘keep him quit, let him starve, asap‘ and we can close our criminals! If you knew a charity organisation or can give aid, support,… help for asylum,….. inform your local politician about this cruelty…… this would be very kindly – all is helpful, thank you from bottom of our hearth! And contact your local green party, we hope they distance themselves from such GREEN party and grant Human Rights, aid, support. Stop Kretschmann – Stop GREEN party! Stop Nazi methods! Certainly all GREEN MP and leader were informed and did not stand to Human Rights, not even a call-back – so the GREEN are worst than former BROWN (Nazi). Prime minister Kretschmann was informed about this documentation in advance – no answer! This documentation is published among German Constitution Art 1 (1) 20 (4) 5 and Human Rights!